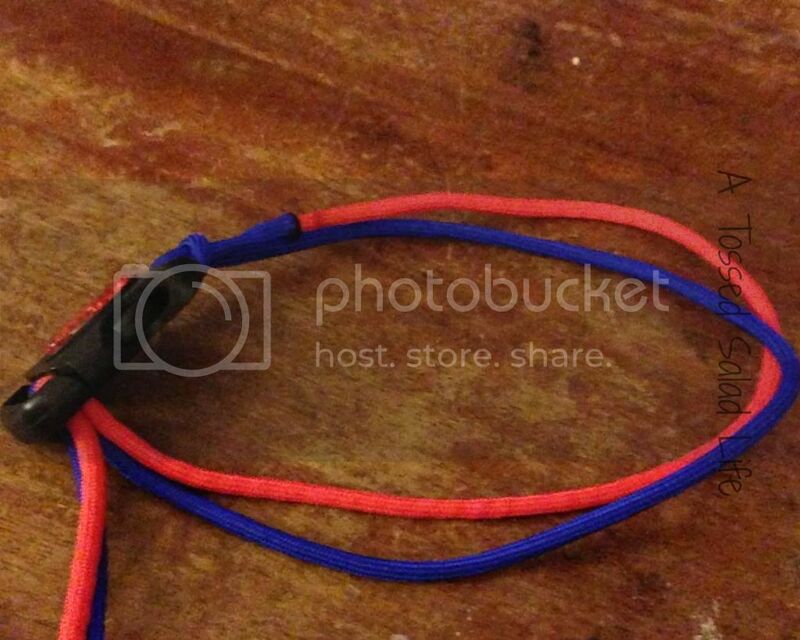 I ordered some cherry red and electric blue 550 paracord. There are different strengths of paracord, but 550 is usually the standard type that you can find at the craft store. 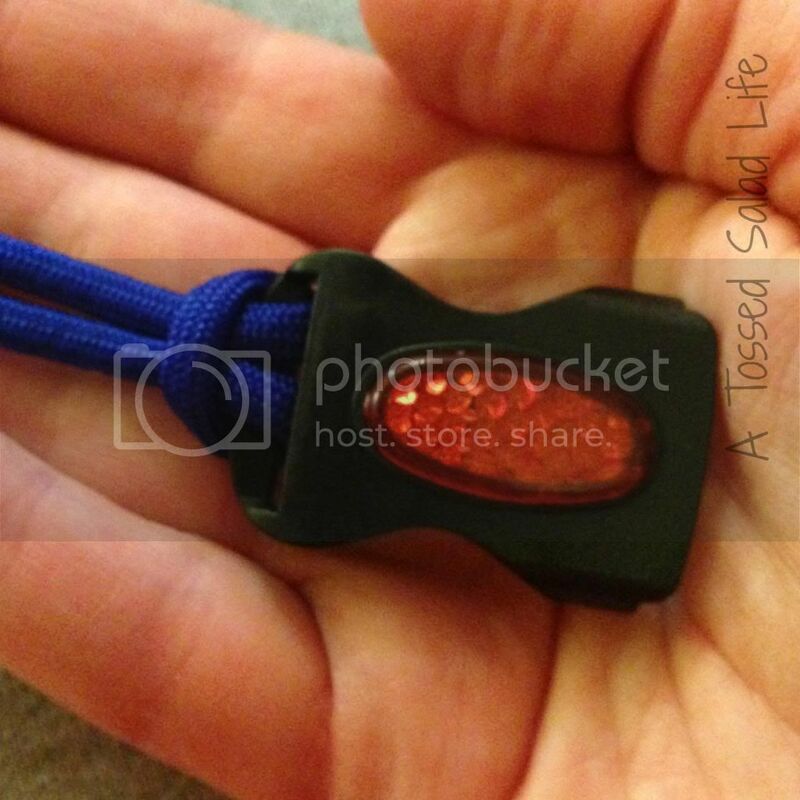 I also found a specialty dog collar buckle with a reflector and a D-ring. I had to order this as well, but you could use a d-ring that you bought at the craft store and a traditional buckle clip. I’ve seen those at the majority of craft stores. You’ll also need scissors and a lighter. To start you’ll need to measure how long you need to make the collar. I took a length of the cord, and wrapped it around Buster’s neck. I then added a little length for slack– when you braid, it will shrink up a bit (or at least mine does!) I really didn’t want the collar to be too tight on Buster. Next I added 8 inches for every 1 inch of the collar. Now, I’ve seen people say that you need 1 foot for every inch, but I’ve tried to determine how to reduce the scraps of extra paracord. Once you have finished braiding, you snip off the ends of the paracord between one-eighth and one-fourth of an inch from the collar. 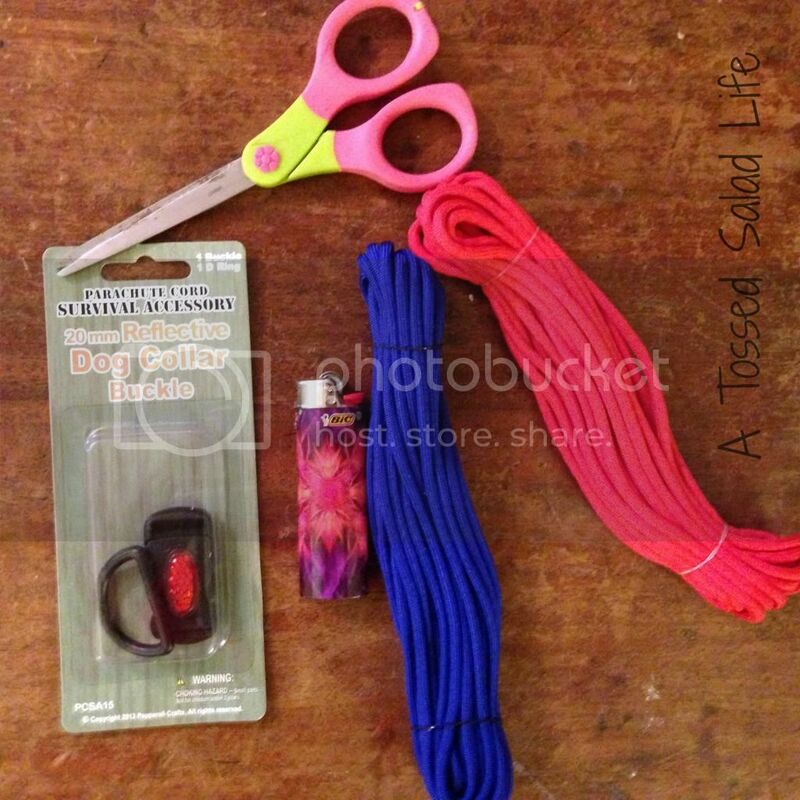 Use your lighter to melt the snipped ends into the collar and let it cool and harden to prevent unbraiding. Now, before I cut the ends off, I double-check to make sure that the length is correct. Remember measure twice (or 3 times!) and cut once! Add the ID tags to the D-ring and put it around the dog’s collar, and see if your puppy likes the collar as well as Buster likes his! Isn’t he sweet?! And by the way, this collar is pretty much a standard width of a collar, so he can wear his standard scarves, and clothing options with it! This is so clever! 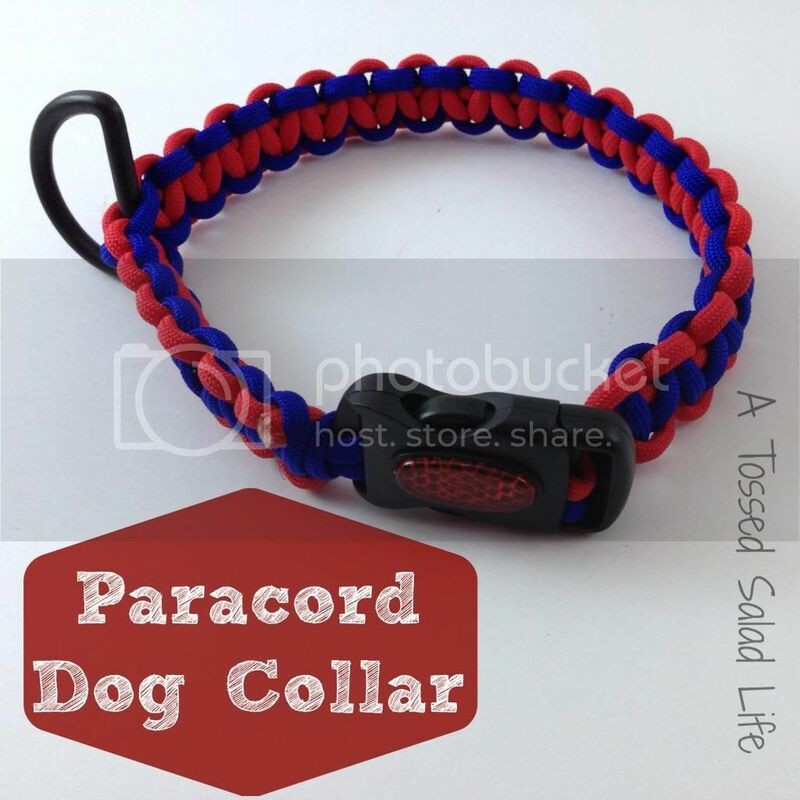 We’ve made paracord bracelets before, but I never thought of making the dog a collar from it! I’d love for you to link this up to our All Things Thursday Blog Hop going on right now. I hope to see you there! Thanks so much for stopping by, I will check out your blog hop! Other than that… it takes too darned long to undo the bracelet and it’s too long without cutting for most “every day” emergencies which might call for it. Hi there Miss Lib! Nice to “see” you. 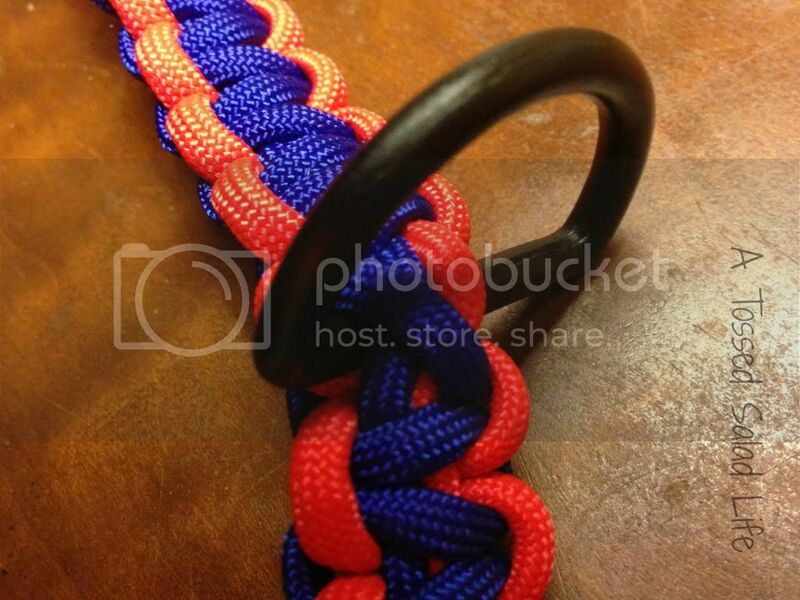 My husband has made a paracord dog collar before and I remember we search everywhere for the buckle and D- ring. I wish we could have found that reflective buckle. 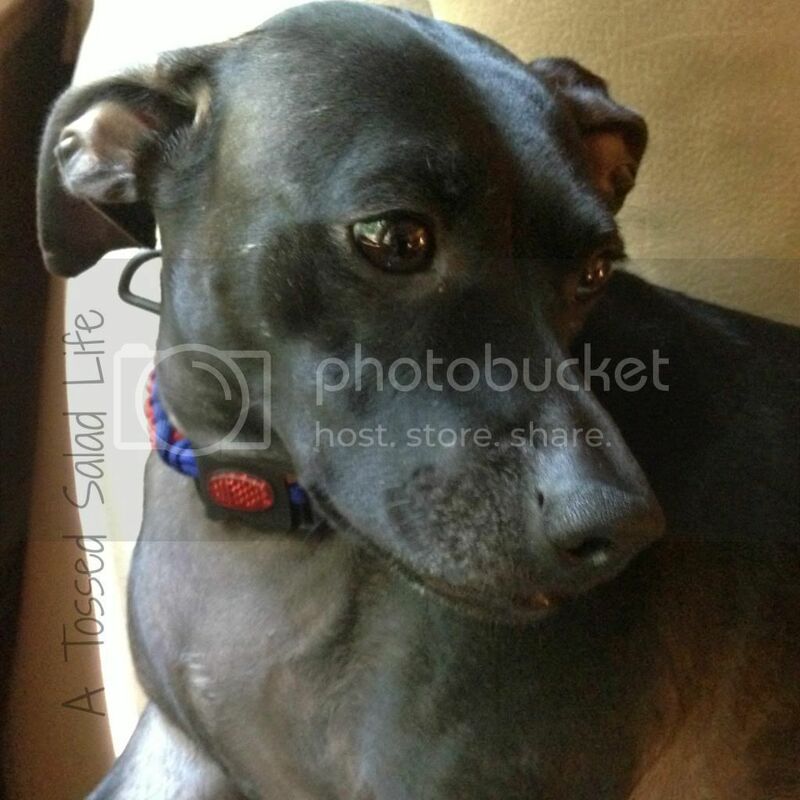 We might be re-making our dog’s collar soon. Thanks for sharing this with the Less Laundry, More Linking party.